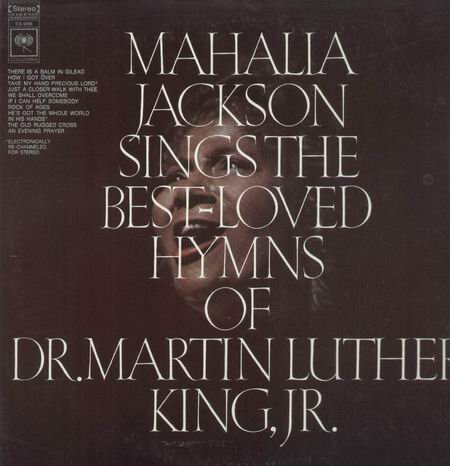 -Mahalia Jackson Sings the Best-Loved hymns of Dr. Martin Luther King, Jr.
“I been baked and I been scorned/ I’m gonna tell my Lord/ When I get home/ Just how long you’ve been treating me wrong,” she sang as a preface to Dr. King’s “I’ve got a dream” speech before 200,000 people in Washington DC at the Lincoln Memorial. 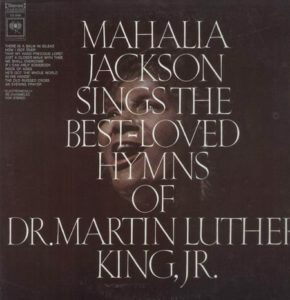 “The Meaning of Hope: The Best of the Morehouse College Martin Luther King, Jr. Collection,” opened this weekend at the National Center for Civil and Human Rights in Atlanta, in the Voice to the Voiceless gallery. King’s economic philosophy would find him with few ideological allies in today’s political climate. He argued forcefully there was “something wrong with capitalism” — a sentiment gaining popularity among today’s Democrats. But he also warned against traditional government welfare programs, saying that there was an inherent value to work and that a job could not be replaced with government handouts or jobs for jobs sake — a popular talking point among today’s Republicans. In the months before his assassination, Martin Luther King became increasingly concerned with the problem of economic inequality in America. 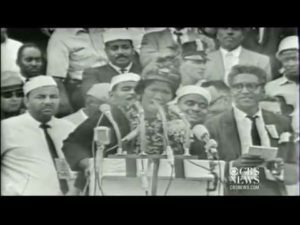 He organized a Poor People’s Campaign to focus on the issue, including an interracial poor people’s march on Washington, and in March 1968 traveled to Memphis in support of poorly treated African-American sanitation workers. 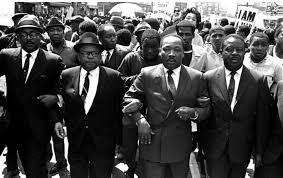 On March 28, a workers’ protest march led by King ended in violence and the death of an African-American teenager. King left the city but vowed to return in early April to lead another demonstration. The big picture: King was for sweeping government reforms. But he also lauded the successes of the market economy, while warning of its “dislocations,” and against the belief that a rising tide would lift all ships. The March on Washington in 1963 was part of a total strategy in the movement to bring about social change. It was not simply another march or demonstration. It grew out of the Birmingham movement. It came about because of things that were already in motion. One key component in the strategy for nonviolence is that in order to win or succeed in making major change, or in order for a revolution to succeed, there are certain components that are necessary. One is that no revolution has ever been successful without winning the sympathy, if not the active support, of the majority. 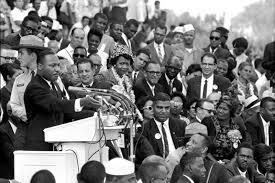 The March on Washington was the part of the strategy to demonstrate that the majority of people in America were ready for change.